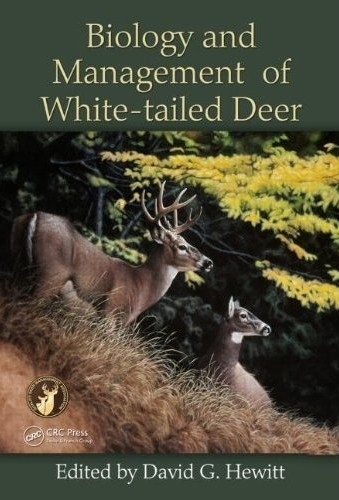 Biology and Management of White-tailed Deer organizes and presents information on the most studied large mammal species in the world. The book covers the evolutionary history of the species, its anatomy, physiology, and nutrition, population dynamics, and ecology across its vast range (from central Canada through northern South America). 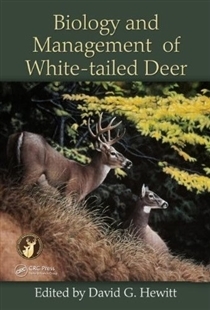 The book then discusses the history of management of white-tailed deer, beginning with early Native Americans and progressing through management by Europeans and examining population lows in the early 1900s, restocking efforts through the mid 1900s, and recent, overabundant populations that are becoming difficult to manage in many areas. The backbone of many state wildlife management agencies and a featured hunting species through much of their range, white-tailed deer are an important species ecologically, socially, and scientifically in most areas of North America. Highly adaptable and now living in close proximity to humans in many areas, white-tailed deer are both the face of nature and the source of conflict with motorists, home-owners, and agricultural producers. Capturing the diverse aspects of white-tailed deer research, Biology and Management of White-tailed Deer is a reflection of the resources invested in the study of the species’ effects on ecosystems, predator-prey dynamics, population regulation, foraging behavior, and browser physiology.